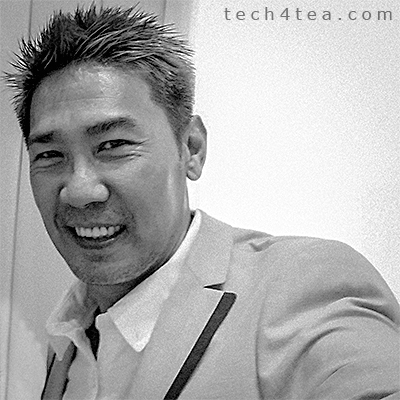 Norton Enlists Actor Edmund Chen to Raise Cyber Crime Awareness « Tech bytes for tea? 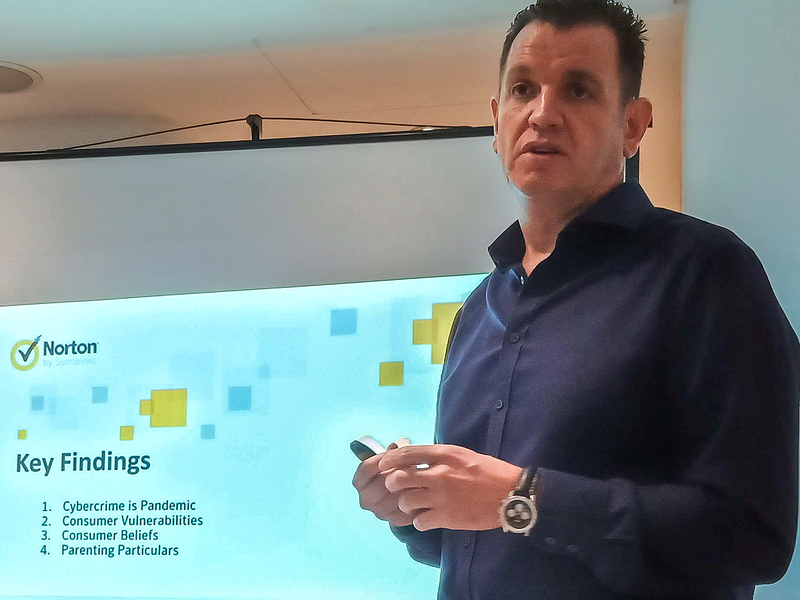 Actor Edmund Chen joined Norton by Symantec for an event to present the results of the NCSIR and to discuss his personal brush with cyber crime. “Recently, I unwittingly shared my account password with a stranger who claimed to know personal details about me and my family, and chaos ensued. My friends started receiving emails from ‘me’ stating that I was in trouble overseas and requesting money. It was shocking to see the interconnectivity between our online information and daily activities and how it makes us vulnerable to cyber crime. Cyber crime is not a generation-specific issue. It is real and can target you at any point of your life,” said actor Edmund Chen. The 2017 NCSIR identified shared characteristics among cyber crime victims globally. They are everyday consumers who use multiple devices whether at home or on the go, but have a blind spot when it comes to cyber security basics. This group tends to use the same password across multiple accounts or share it with others. In Singapore, one in two surveyed were victims of cyber crime, of which 60 percent experienced cyber crime in the past 12 months. Other highlights from the 2017 NCSIR on Singaporeans’ online behavior include the following. Making a purchase online that turned out to be a scam (76.3 hours). Credit or debit card fraud (44.4 hours). A device infected by a virus or other security threat (27 hours). 56 percent have been able to determine an email they received was spam primarily because it included a link or attachment which seemed suspicious. 82 percent believe law enforcement and internet companies should ramp up cyber security measures. Consumers believe that teenagers, online gamers and those who are heavy users of social media are most likely to become a victim of cyber crime. More than half (56 percent) of surveyed consumers believe that it is more important than ever to know how to protect their privacy; conversely, 32 percent don’t think it’s worth worrying too much about online threats that they read or hear about. Surveyed consumers used device protection technologies such as fingerprint ID, pattern matching and facial recognition. 49 percent used fingerprint ID, 14 percent used pattern matching, 13 percent used a personal VPN, 4 percent used voice ID, 15 percent used two-factor authentication and 7 percent used facial recognition. However, consumers who adopted these technologies often still practised poor password hygiene and fell victim to cyber crime. Consumers display minimal password management measures and are more exposed to attacks as they protect newer and more devices. 20 percent of Singaporeans surveyed admitted to using same password across all their accounts and only 3 percent of them retain the default password that was assigned. Despite experiencing a cyber crime within the past year, 49 percent shared their passwords for at least one device or account with others, negating security efforts. Additionally, 27 percent of Singaporeans write their passwords down on a piece of paper and 22 percent are likely to use different passwords and save their password to a file on their computer/smartphone. The study also revealed that 81 percent of Singaporean consumers surveyed believe cyber crime should be treated as a criminal act, and 37 percent think it’s a fact of life to be accepted. The Norton Cyber Security Insights Report is an online survey of 21,549 individuals ages 18+ across 20 markets, commissioned by Norton by Symantec and produced by research firm Reputation Leaders. The margin of error for the total sample is +/-.7%. The Singapore sample reflects input from 1,037 adults ages 18+. The margin of error is +/- 3.0% for the total Singapore sample. Data was collected 5 – 24 October, 2017 by Reputation Leaders. When presented with examples of cyber crime, 40 percent of consumers believed it’s sometimes acceptable to commit morally questionable online behaviors in certain instances, such as reading someone’s emails (26 percent), using a false email or someone else’s email to identify themselves online (18 percent) and even accessing someone’s financial accounts without their permission (13 percent). Singaporeans generally continue to trust the traditional institutions that manage their data and personal information. Consumers gained or maintained trust in organisations such as banks and financial institutions (20 percent), and identity theft protection service providers (15 percent) despite the attacks that made headlines this year. However, 23 percent of consumers lost trust in social media platforms to manage their data and personal information. The 2017 NCSIR also sheds light on parents’ worries about their childrens’ online activities and the preventative measures they are putting in place to protect their little ones. Cyberbullying remains a top concern, with 86 percent of parents worried it will happen to their child. 94 percent of parents are worried their child will unknowingly download a malicious program or virus. 91 percent of parents are worried their child gives out too much personal information to strangers. 88 percent of surveyed parents are worried their child will be lured into illegal activities such as hacking. 85 percent of surveyed parents are worried their child will engage in online activities that will impact the whole family. 39 percent check their child’s browser history. 37 percent only allow internet use with parental supervision. 36 percent limit access to certain websites and apps. This entry was posted on Wednesday, July 11th, 2018 at 6:00 pm and is filed under Brief, Events, events, Figures, News, Norton, Press Release, Security, Software, Study, Symantec. You can follow any responses to this entry through the RSS 2.0 feed. You can leave a response, or trackback from your own site.